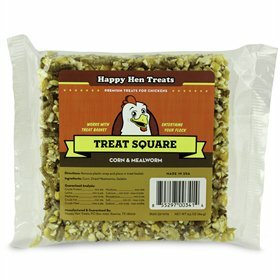 On sale while supplies last! 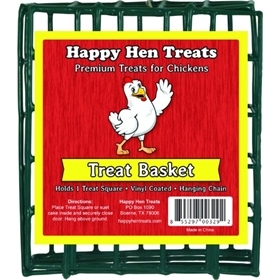 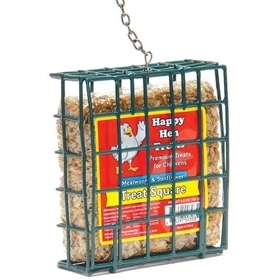 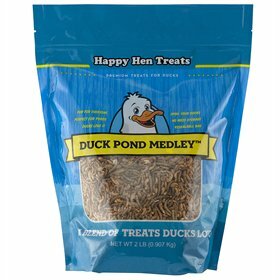 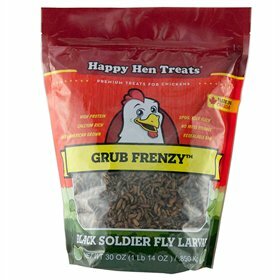 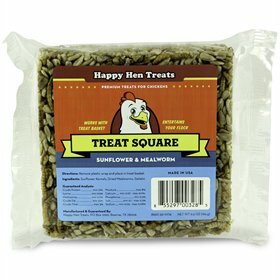 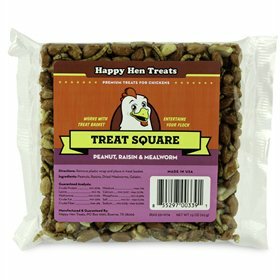 Use this handy basket to hang your Happy Hen Treat Squares (see below for available varieties)--or for any other kitchen scraps or treats! 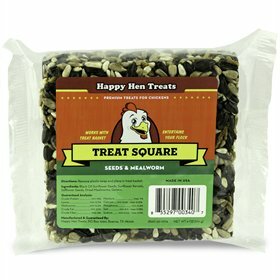 Suspend from your coop or run and watch the chickens have a ball trying to get at the treats.